My kitchen. It has quickly become my favorite place in our house. And that’s saying a lot because I seriously love every.thing.about.this.house. But my kitchen? My little country kitchen with more cabinet and counter space than I have ever had? It’s the bees knees. And I love cooking and juicing in it. That’s right! It’s FINALLY functional! We finished our concrete counter tops and they turned out great. We can cook in our space now. And then we laid concrete and the kitchen goddess smiled. 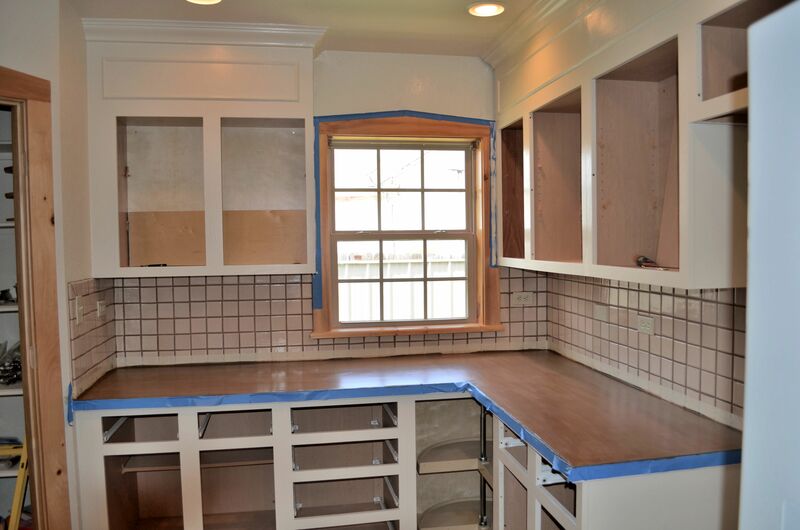 But in order to use our counters, we need to stain and seal. We let the concrete ‘cure’ for about 1 week. 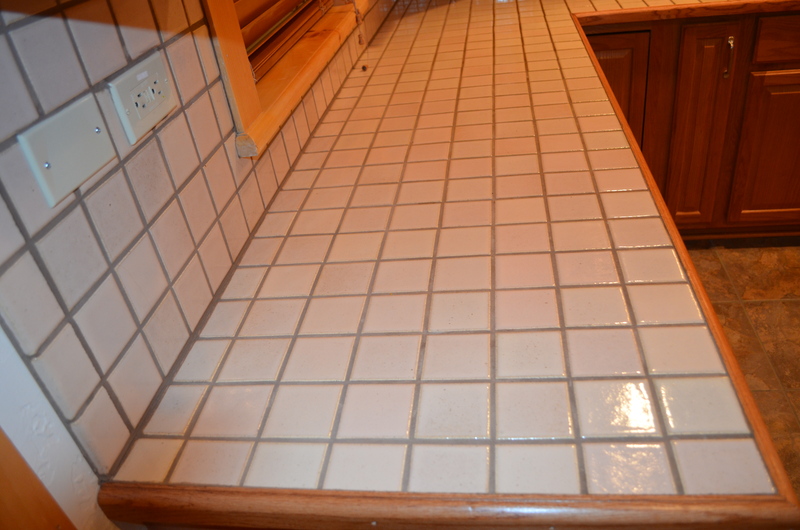 If you are interested in concrete counters you must be aware of one simple fact: Concrete cracks. It’s in it’s nature. I personally think it adds character and charm to a rustic kitchen, but if you are not into it, don’t attempt concrete counters. The cracks won’t be large but they will be there; slight imperfections make us human after all. 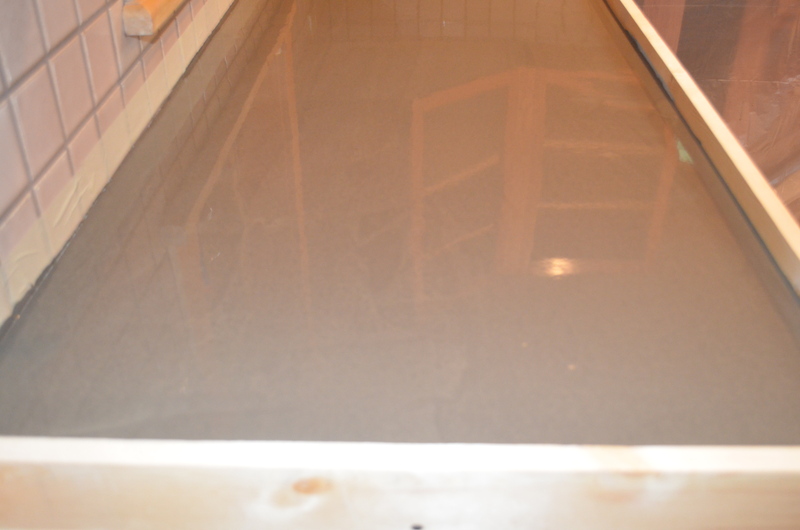 The layer of concrete we laid was really thin and we didn’t have to let it cure for so long. We did because we were working on the cabinets. But usually 24 hrs- 48 hrs is enough time according to the self-leveling concrete directions. 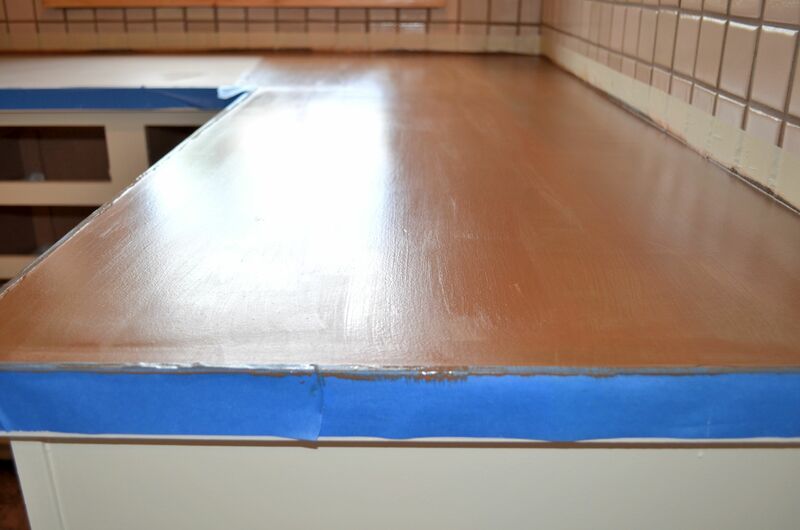 Before we could stain or seal the concrete, we had to remove the boarder we placed around the counters. 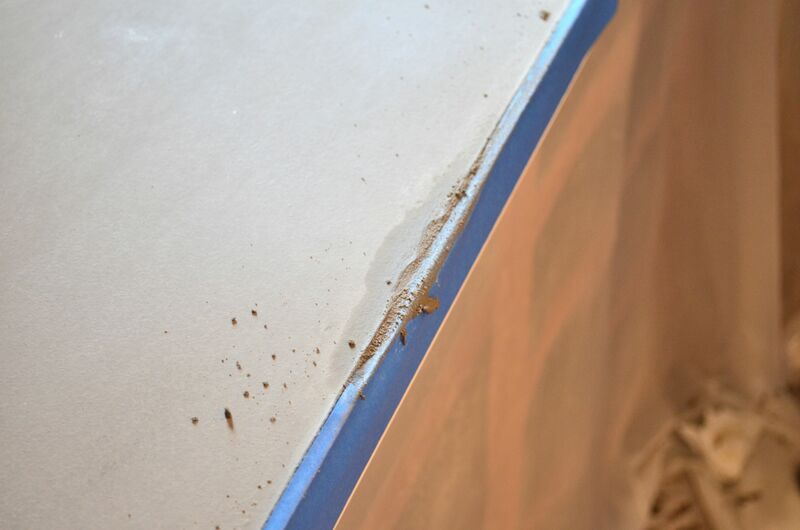 *** We then decided to add trim to the boarder to give it a more cohesive and unified look. 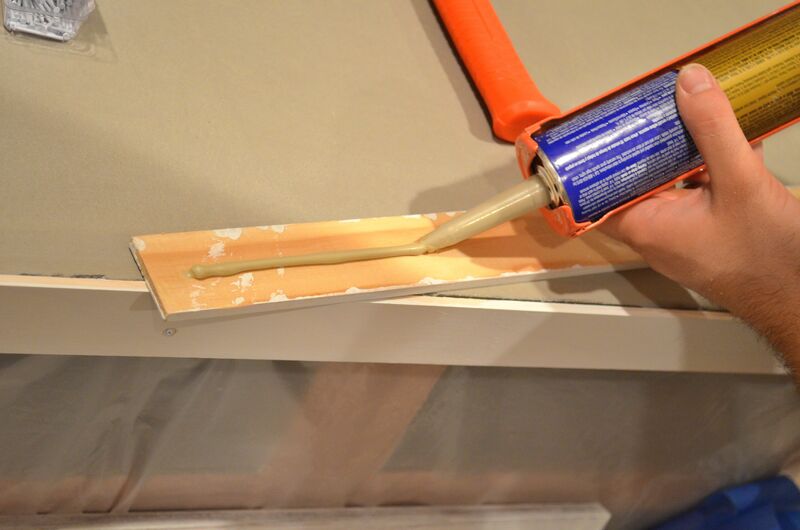 We used this strong adhesive. 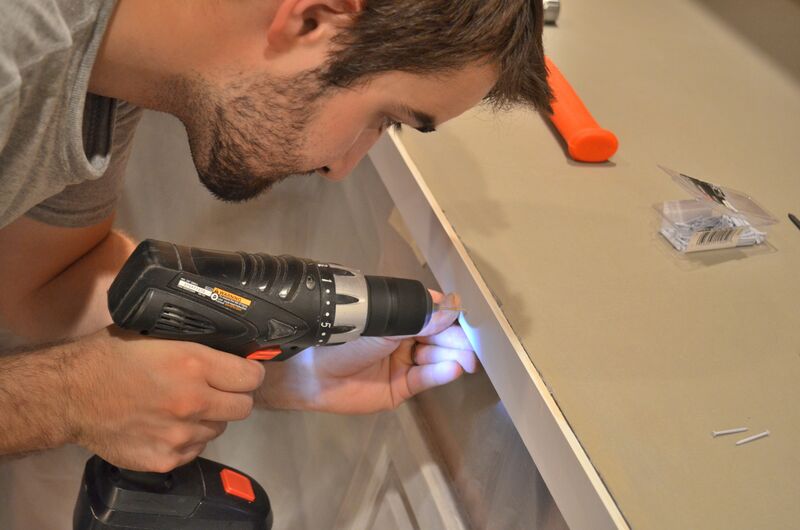 Mr. HungryYogi then used his drill to make holes for nails so he wouldn’t splinter the wood (we still haven’t invested in a nail gun so we make due with what we have). Then he hammered in the nail. 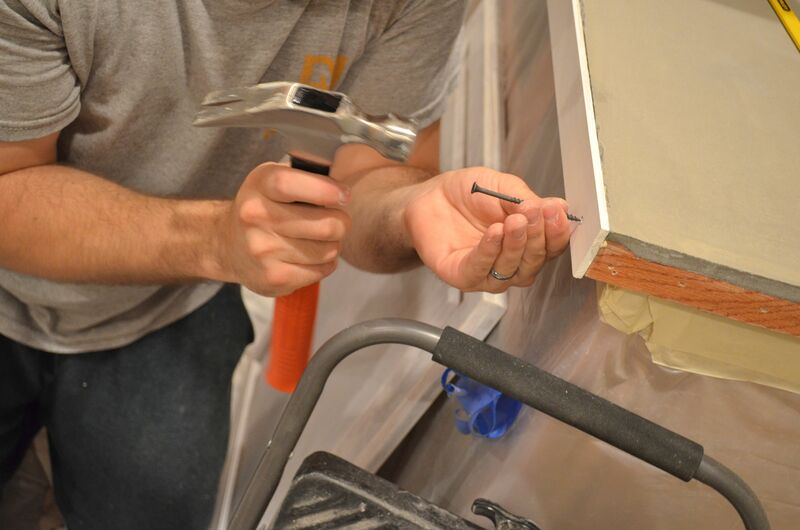 Pro Tip: He used a screw and hammered the nail in to ensure the edges were sticking out. 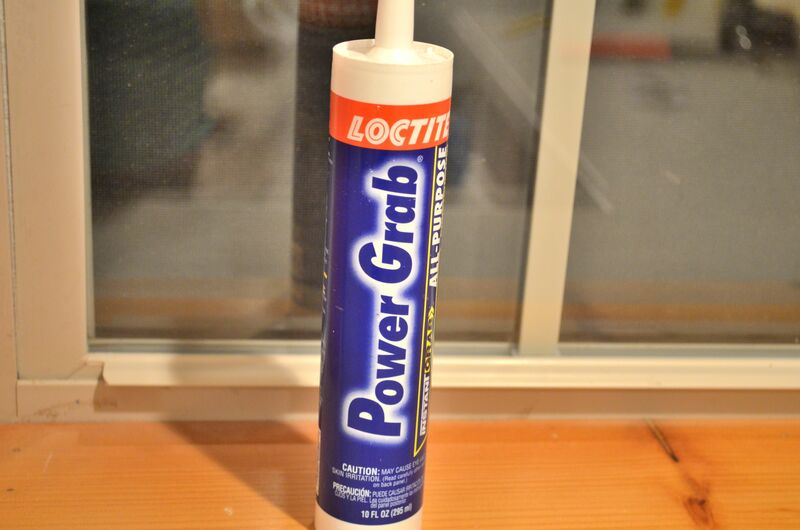 We then used wood putty to cover the nails. 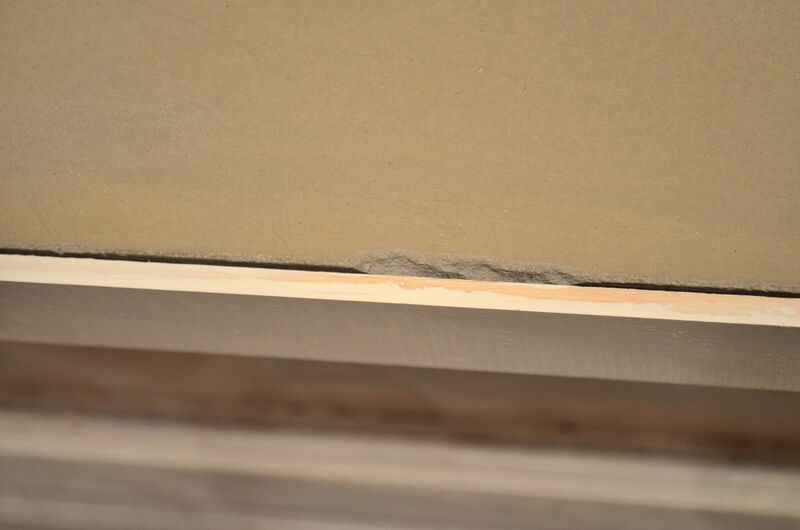 When we took off the boarder, some concrete chipped during the process. We used a little concrete to patch up those nicks. And reminded ourselves that this is a DIY and imperfections are apart of the game. 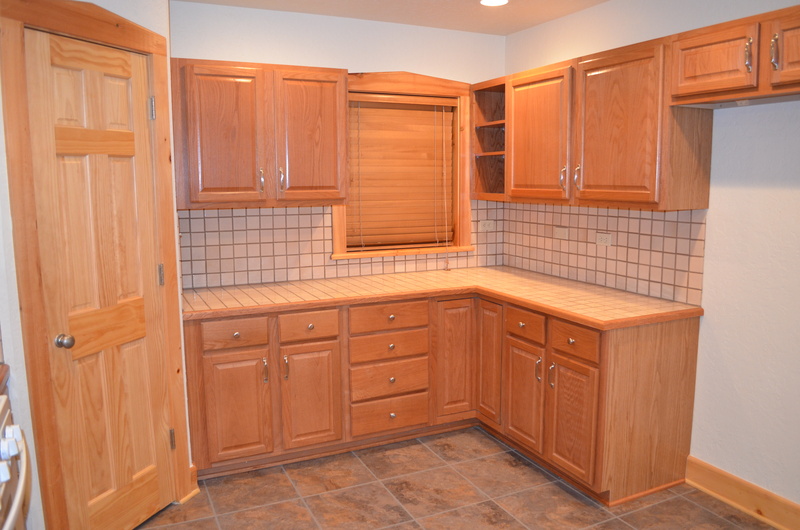 We let that cure for a couple of days and did more work with the cabinets. 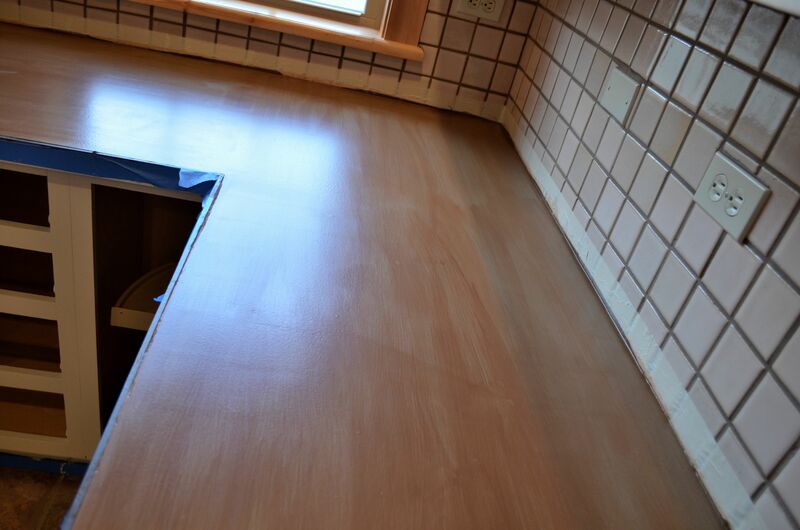 Then we stained the counters. We chose a color called Henna because I love me some India and it felt like the right shade to compliment the back splash and flooring. I am so happy we chose that color because it works perfectly. We used a paintbrush (you can use a rag) to get a unique look. Waited 4 hours and stained it again. We let the stain rest for 2 days and then we sealed it. 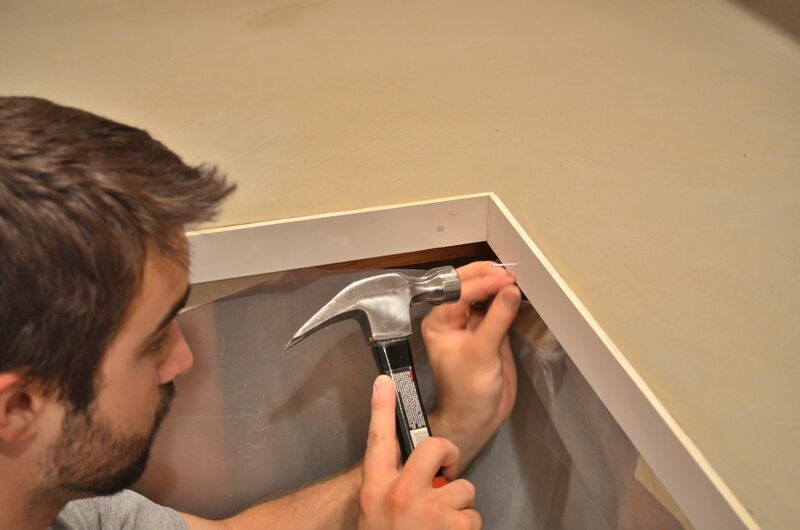 We sealed the counters and the trim around the counters so that future liquid spills wouldn’t destroy the trim. 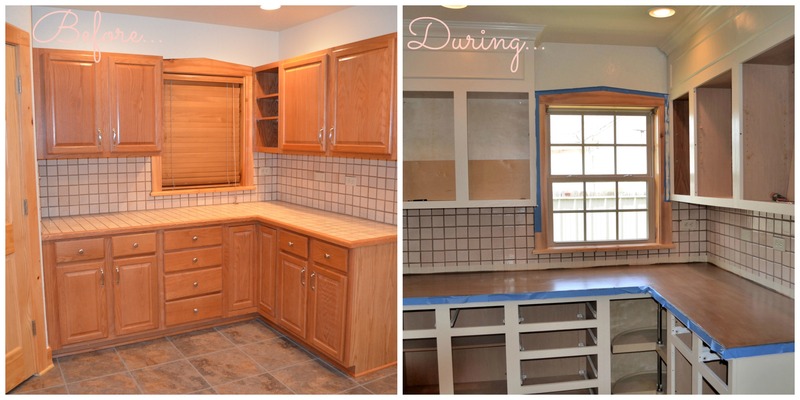 We saw major improvements at this stage; the counters were stained and the cabinets were painted. 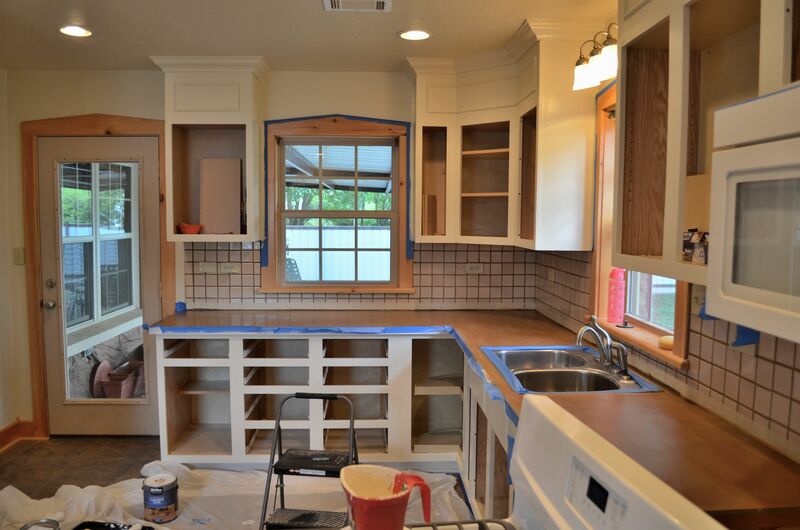 The last step is to put everything in it’s home and add on the painted cabinet doors. I am currently waiting on an item to come in so that the empty space next to the fridge is no long empty but an awesome juice bar station. So. Very. Close. 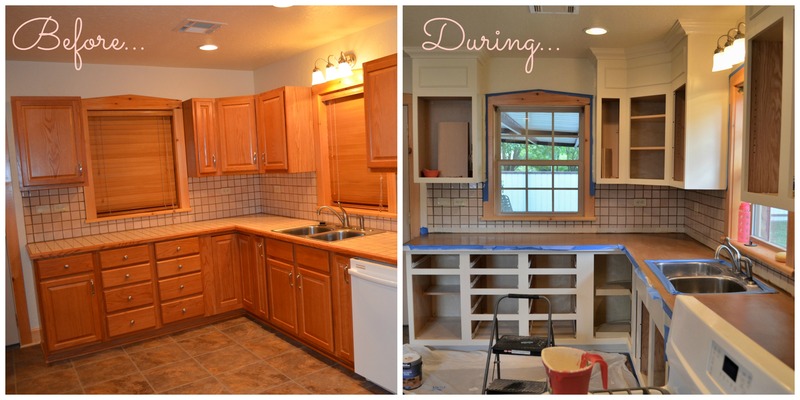 Be sure to check back next week for the kitchen reveal! Slow and steady but it’s looking more like my dream kitchen with ever brush stroke. ***Note: If we could have done it differently, we would have boarded the counters with what we were going to leave on it versus a boarder that had to be removed. It would have equaled less time and a few dollars saved. 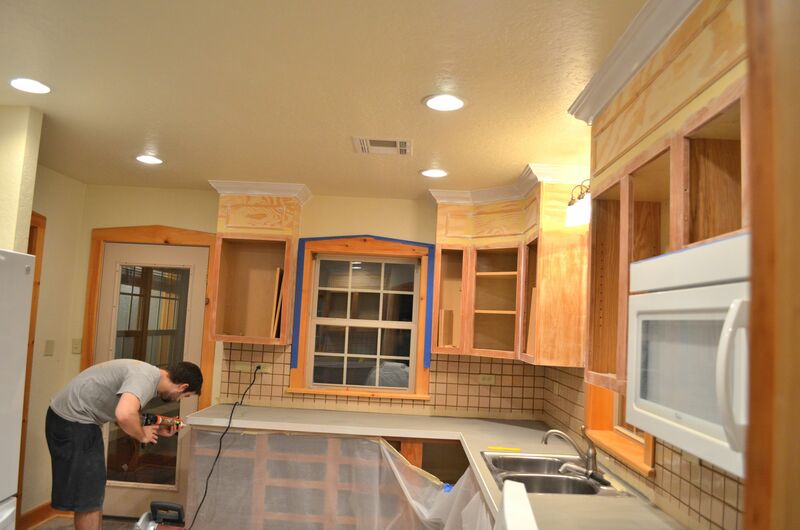 Great looking kitchen! You should be very proud! Thank you Devon! I love it but I can’t wait until its 100% complete though haha! Wow, that looks great! So rustic and pretty! 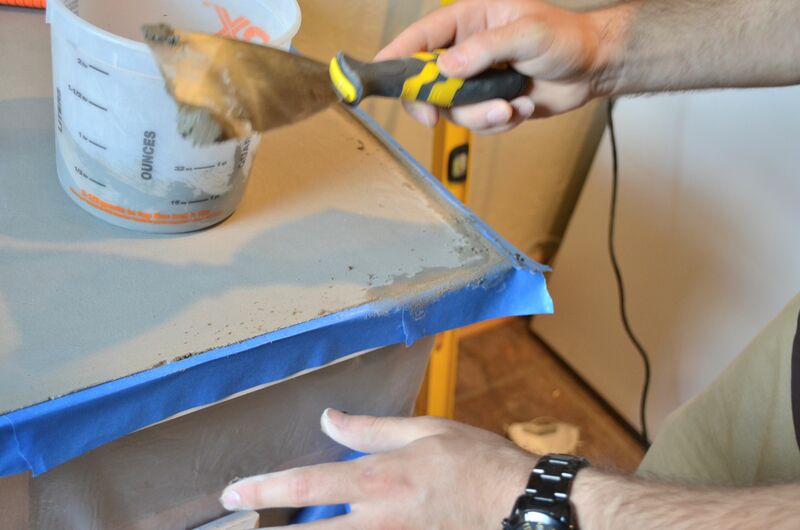 Never thought of concrete counters before, but I will definitely look into it once we are ready to update our kitchen! Looking good! I’m drooling over that crown molding! Thank you 🙂 He did a great job with it.